Tell us about your interaction with smart technologies such as automation, RPA, AI and Machine Learning. I am a heavy adopter of many of the smart technologies that have gone mainstream in the past few years. Just at home we have four virtual personal assistants, two video cameras, and three smart thermostats all connected to various TVs and speaker systems. Also being a pretty avid cyclist living in the Northeast USA where the winters can be harsh, I use a smart turbo trainer hooked up to a virtual “world” where I compete in virtual races with people from around the world. How did you start in this space? What galvanized you to be part of NICE? I joined NICE in 2011, where I initially ran business operations for the APAC region based in Singapore. 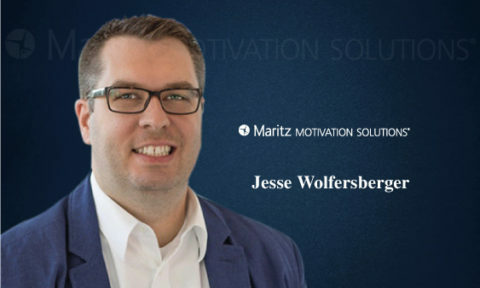 After a couple of years, I was promoted into the company leadership team and moved to the USA where, as COO, I was responsible for the transformations of our Professional Services, Customer Support and (then) fledgling Cloud Operations. I joined NICE at such a perfect time — first as we transformed to be a true Enterprise Software company and then as we became the leading Cloud company in our domain. Today, as the Enterprise Group President, I’m responsible for all product strategy, innovation, R&D, solution marketing, implementation, customer support and cloud operations for all solutions within the Enterprise group. It’s an exciting time as we drive a strategy that combines our renowned innovation with our cloud maturity model to offer portfolio solutions as either best of breed or platform suites. What is NICE and how is it impacting the digital transformation landscape? Quite simply, we help companies deliver uncompromising customer service. Our portfolio includes the industry’s best CX solutions including analytics, Robotic Process Automation (RPA), omnichannel routing, recording, authentication, compliance and workforce optimization. Our main asset is our ability to perform sophisticated analytics to truly understand interactions between people and organizations and enable smarter decisions that improve business performance. The analytics we deliver allows organizations to give their customers a unique, positive experience and keep them as a customer for life. We have more than 25,000 customers across the globe, and 85 of the fortune 100 companies trust our software solutions to help them connect and maintain customer loyalty. What makes working with RPA and back office automation tools so fascinating? RPA technology is leading the charge when it comes to its role in transforming customer service. And it’s no surprise why —the average back office employee spends 80 percent of their day on mundane activities, like filling in forms, making repetitive calculations, or processing customer orders. NICE RPA empowers humans to work smarter by identifying time-consuming, routine tasks that are sensitive to human error and creating automated workflows to execute these processes. One unique innovation worth mentioning is NEVA (NICE Employee Virtual Assistant), the first employee-focused attendant. Intuitive and intelligent, NEVA aligns the human-robot workforce to drive up employee performance. How do you see the growing trend of including RPA in enterprise business operations? I don’t think it’s going to slow down — we are just at the beginning. I think Gen Z will really accelerate implementation. For companies to appeal to this generation and successfully recruit and retain them, they need to offer a modern work environment that supports growth and tasks that are engaging. Given that Gen Z has grown up alongside technology, it means that most of our customers’ future employees will be very comfortable with their day-to-day work being augmented by automation. I see a future with employee and robot duos, perfectly synchronized and balanced to create superior service. In the same way that airline pilots work today, the employees of the future will be empowered to do much more as they drive and manage their primary responsibilities, supported by robots that run in the background executing all of the supporting mundane activities. What are the biggest challenges and opportunities for businesses in leveraging RPA and AI/ML? All too often companies try to automate the wrong processes, which causes frustration and slows them down. 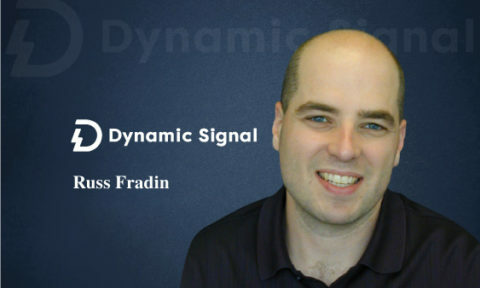 Elements such as the number of users, process complexity, as well as the total addressable optimization opportunity need to be factored in to ensure that the right processes are tackled in the optimal order. If this is done right, a ROI path can be built in which there is a quick return in the short term followed by sustainable improvements as the more complex processes are addressed over time. Automating the right processes help companies to accelerate their journey to successful digital transformation. What training should be available for employees to better work with RPA, AI and machine data? While employee education is key to successful digital transformation, these technologies essentially should be making jobs easier, not harder. By implementing robotics to take care of all of the mundane and repetitive activities, employees are freed up to actually do a better job of their most important tasks. Time that may have historically been invested in technical training on how to navigate through legacy systems and supporting infrastructure can be replaced with much higher value chain training — enabling employees to serve customers or drive sales to a higher level. I think that over the past few years, humans have adopted this first wave of smart technology and at the same time started to come to terms with the implications on privacy. It’s obvious that the more that these technologies know about us and our preferences, then the more that they can do for us and improve our lives. Today, these improvements can mean faster commutes to work; optimized work processes or even the ability to race people in virtual bike races while a snowstorm rages outside. These improvements are valuable and on the whole, they are enhancing our existing routines. I believe that as smart technologies continue to evolve along with our willingness to share more about ourselves, then we have an opportunity to revolutionize our lives — not just enhancing our existing routines, but creating whole new ways of living and working. And just as we see it at NICE, this does not mean a future with technology taking over — this is a future where technology augments our lives and allows us to achieve goals and have experiences that we would not have been able to without it. The Good, Bad and Ugly about AI/ML that you have heard or predict? Artificial Intelligence is an overarching term for software that does something smart. By this definition, we’ve had AI around for years and we have all benefited from it. Many of NICEs legacy advanced analytics solutions are, and have been for many years, AI. Machine Learning on the other hand, is much scarcer – it’s a subset of AI that is dynamic and autonomously improves itself when exposed to more data, without human intervention. The Good: Today, in 2019, Machine Learning is very real and not a myth. There are numerous technologies out there that materially improve performance and deliver better results over time as they learn from their environment, all without human interaction. The Bad: Machine Learning is often attributed to solutions that simply aren’t learning. They are the same advanced analytics solutions we have had for years, but tagged with Machine Learning only because it’s hot right now. The Ugly: There is a tricky dance that needs to be played out between protecting our privacy and improving our lives. It’s a difficult problem with many stakeholders — on one hand, this technology needs to be fed with our personal data so that can learn and improve our lives; on the other hand, our data is valuable and can be abused. Yet, the value of that data can change economic systems and enable cost-effective or even free service in return. While there will not be a simple solution in the near term, I predict an ongoing struggle as we oscillate between our expectations of technology and the implications that it has on our privacy. Thank you, Barry! 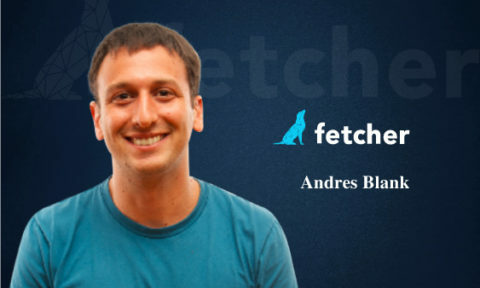 That was fun and hope to see you back on TecHR soon. 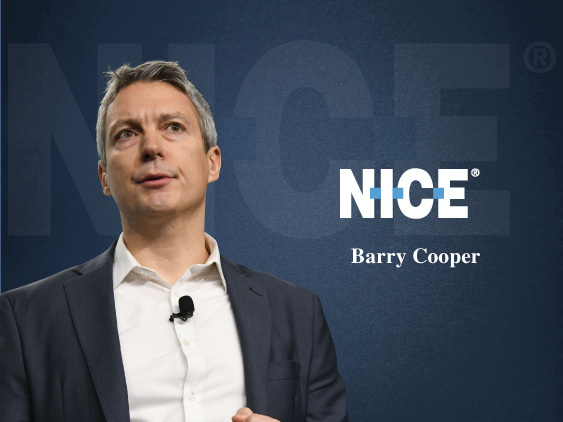 Barry Cooper is Enterprise Group President at NICE. responsible for product strategy, innovation, product management, R&D, solution marketing, implementation, customer support and cloud operations of NICEs Enterprise software solutions. NICE is the worldwide leading provider of both cloud and on-premises enterprise software solutions that empower organizations to make smarter decisions based on advanced analytics of structured and unstructured data. NICE helps organizations of all sizes deliver better customer service, ensure compliance, combat fraud and safeguard citizens. Over 25,000 organizations in more than 150 countries, including over 85 of the Fortune 100 companies, are using NICE solutions.